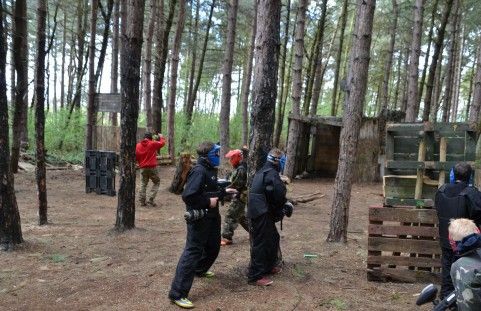 The Wickford venue bring paintball to as many people as possible and especially the next generation of paintball players, our kids. With that in mind, Tiny and his team will go to great lengths to accommodate the needs and wishes of all of their customers. From the moment you book, to the moment you leave, the team will make you feel right at home and help you enjoy every minute of your stay. 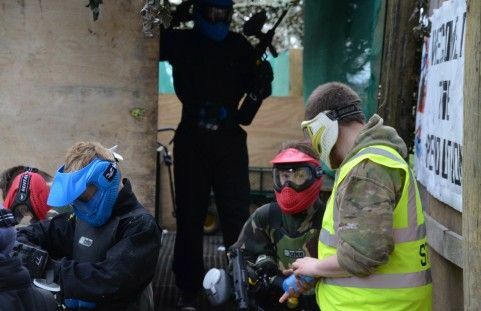 All of our marshals are experienced paintball players who have marshalled many events and have many years of experience running and controlling events on both small and large scale. This experience allows us to offer great days out for all levels of experienced paintballers, from the novices to the seasoned pro’s. All of our kit is cleaned, maintained and checked before and after every event. We supply you with all the kit you need to use for the whole day including your mask, overalls, pod belt or Magfed vest, pods or magazines, marker, gloves and bounce vest if needed. All that you are required to bring is a good pair of boots or shoes suitable for the terrain and the condition of the ground – poor footwear can cause you an injury. Bedlam Paintball Wickford. The best paintballing deals in Wickford.